*Follow the Norfolk Coast Cycleway between King’s Lynn and Great Yarmouth. It follows quiet roads and lanes through varied countryside and offers some superb coastal views. There are various loops, allowing you to finish each section where you started and to take on stretches of different lengths. *Try the Rougham Circular Route, which also takes in Monks Eleigh, Bildeston and Lavenham, in Suffolk. The entire route is approximately 30 miles in total. It takes you through some beautiful countryside and offers the chance to stop and soak up the atmosphere of the Medieval town of Lavenham. *Ever popular Marriott’s Way is a 26-mile ride between Norwich and Aylsham, in Norfolk. It follows the route of two old railway lines and, other than some sections in Norwich, is largely off-road. 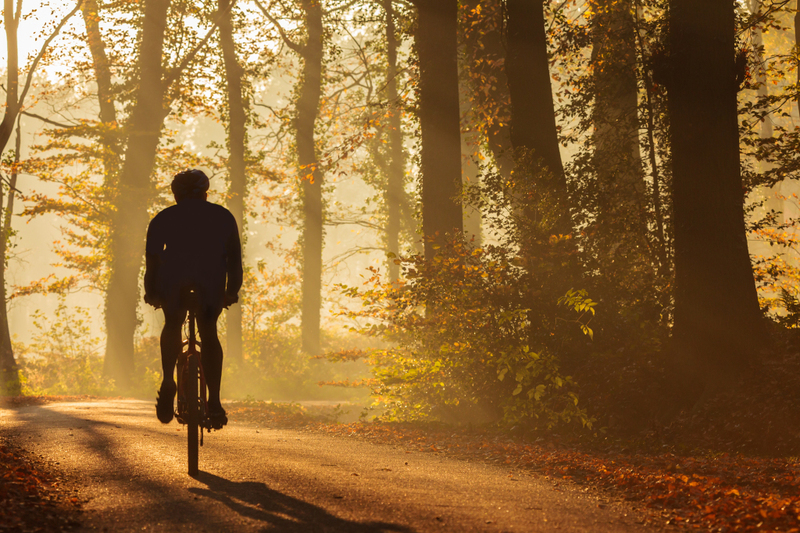 Scenic all year round, this is a great autumn ride, which passes through some wildlife-rich habitats, including the Wensum River Valley and Whitwell Common. *Follow South Norfolk’s Bike It! Route 2, which takes in the University of East Anglia, Bawburgh, Marlingford, Hethersett and Ketteringham. It is approximately 20 miles and takes you past some pretty churches and through conservation areas. This is a circular route. *Follow the Sudbury and Stour Valley Cycle Route, through picturesque Suffolk. This is just over 26 and a half miles long and follows a circular route through countryside that inspired artist Gainsborough. This route is hillier than you might expect and also takes you through Bures and Pebmarsh.